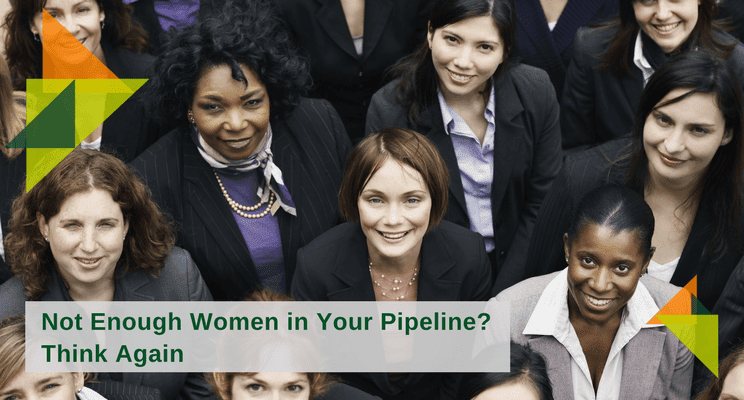 Not Enough Women in Your Pipeline? Think Again. An original version of this blog was published on the Skillsoft Learning Blog. In 2016, Facebook reported that the numbers of women and minorities employed in its U.S. work force remained largely unchanged from the previous year. The company cited the “pipeline” as the problem: there were not enough women and minorities entering the tech industry. Therefore, Facebook could not hire more diversely. From Engineering to Finance, the pipeline explanation is prevalent throughout American businesses, not just in Silicon Valley. On the face of it, these claims seem reasonable. Companies would hire more women and minorities, but there simply are not enough qualified women and minorities to hire. The pipeline theory just doesn’t hold water. In actuality, the U.S. pipeline is full of highly trained workers eager and ready to be hired. Top universities churn out Black and Hispanic computer science and engineering graduates at twice the rate that leading tech companies hire them. And while women hold nearly 20% of the computer science and information technology degrees, industry averages suggest women are hired for only 11-15% of the technical jobs. So why aren’t more women being hired? In many fields, training with an expert is critical. Whether you are directing a movie or an advertising agency, your mentor is your way in. And when we only hire people who mirror us, we create a backlog of capable, intelligent workers who just can’t catch a break. This is a real hold up in the pipeline. So what can companies do? An overwhelming majority of U.S. businesses profess a commitment to diversity. With such widespread support for inclusiveness, it should not be that difficult to get the pipeline flowing again. Give your diversity plan teeth. Do you have a Diversity Officer? Does he or she have a budget to recruit outside of traditional networks? Do you insist on a varied pool of candidates before moving to the next round of hiring? Make diversity a line item. Reward managers who bring on and build diverse teams. Reexamine hiring criteria. If your job advertisement asks applicants “to bro down and crush code,” chances are you are dissuading women from even submitting a resume in the first place. The language of job postings can be biased. Most include a “wish list”—here’s what our perfect applicant will look like. However, research suggests that women are more likely to hang back from applying if they do not meet 100% of the criteria. Consider winnowing your laundry list of prerequisites to get nontraditional candidates in the door. Seek experts outside your industry. Sheryl Sandberg is often championed as the most powerful woman in Silicon Valley. But she is not an engineer or a computer scientist. Her background is in business and economics. Tech companies are not composed entirely of techies. Ad agencies are not staffed entirely by folks who write copy. If an organization is truly committed to diversity, it can hire women and minorities throughout the company. Marketing, finance, legal, and strategy teams are all ripe for nontraditional leadership. Promote women. 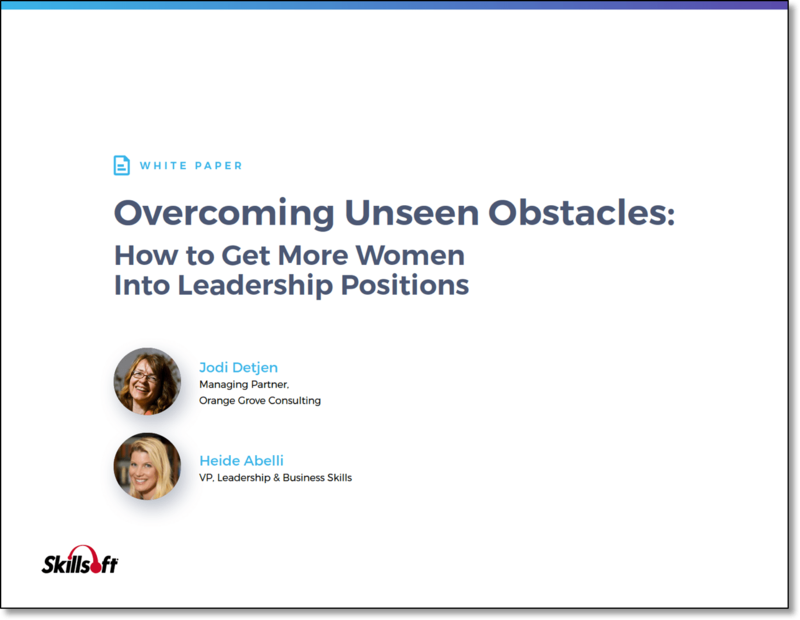 It seems obvious, but one of the best ways to attract more female applicants is to already have female leadership. Most organizations employ plenty of women in entry-level positions. But those same women might need help with career advancement. Studies have demonstrated that women ask for promotions less often than men. And when women do defy convention and ask for a raise or more responsibility, those women are perceived more negatively than men who ask for the same things. Managers who wish to level the playing field can put out a call. Ask your talented female employees to negotiate and self-promote. And compensate them when they do. Look beyond the ivy. It can be tempting to hire folks with the complete package—the resume, the skills, the elite pedigree. However, the reality is that graduates from top schools—no matter their backgrounds—are only one type of worker. Sure, they are highly educated, but to create a winning team, you need a variety of players with an assortment of abilities. Your clients and consumers come from all walks of life. To best meet those needs, your teams should reflect that. Scrutinize your office culture. Is your organization a place where everyone feels welcome? Or is this an office skewed to one gender, age, race, or creed? Is your team-building activity always paintball? Are your maternity and paternity leaves the same length, sending a message that men and women have equal stakes in work and family decisions? Sometimes, rethinking office culture is as simple as mentoring new employees. Make sure that women and minorities have advocates and support. Other times, office culture needs to be retooled to make the workplace a safe and productive space for everyone. Redefine diversity. All too often, diversity is broken down into false binaries—men and women, black and white, young and old. But a diverse workplace encompasses so much more than these limited definitions. Look at women who are returning to the workforce after having young children. Does your employee base include grandparents, disabled people, immigrants or members of the LGBT community? When you begin to expand the definition of diversity, hiring becomes less about quotas and more about creating a vibrant organization whose workers can tackle even the most complicated problems with collective ease. Write down your goals. Real achievement is measurable. Without targets and metrics, how will your organization know if it is moving in the right direction? While companies are often loathe to make such goals public, research suggests that a commitment to diverse hiring increases the variety of applicants a company will receive. Word travels fast. Further, transparency increases the likelihood that an organization will hold itself accountable. If a company was failing to achieve a return on an investment, it would scrutinize and recalibrate. Diversity is an investment. Like all growth, it should be fostered and measured. Get in it for the long haul. Companies that are racially, ethnically, and gender diverse are anywhere from 15-35% more likely to have financial returns above industry averages. Diversity grows the bottom line. If an initiative is not working to change the numbers of women and minorities you hire, don’t give up. Do some homework and try something new. Don’t abandon ship at the first or even second sign of difficulty. Meaningful change takes time. Ready to update your outdated business practices and advance high-potential women into leadership? For more information about our in-house workshops and organizational change work email Celina Guerrero, Director, Business Development at celina@orangegroveconsulting.com.